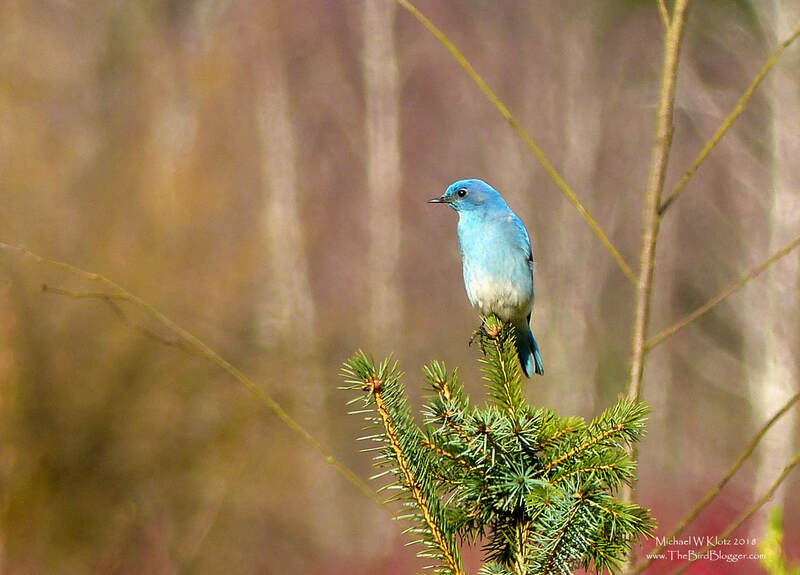 Migration has started and one of our first visitors is the Mountain Bluebird. There were three of these brightly colored thrushes that mad landfall in Surrey's Big Bend Park. The two males and one female were making their rounds in the meadows near some cottonwoods. This small fir made the perfect vantage for hawking insects in the early spring morning. Several other known birders were also there getting the first glimpses of spring color in Greater Vancouver. Thanks for the spot John.